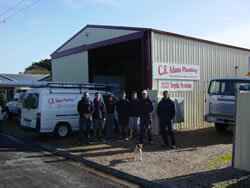 C. R. Adams Plumbing specialises in domestic plumbing, commercial plumbing, waste treatment systems and septic systems. 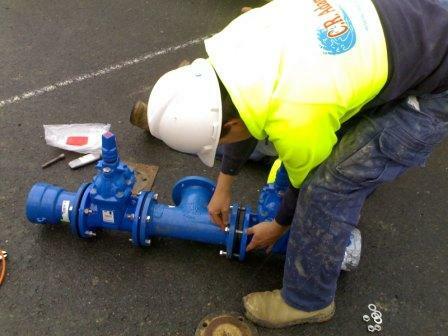 We have 30 years experience in the plumbing industry and have been established on the Fleurieu Peninsula for the last 20 years. C. R. Adams Plumbing has extensive experience in all facets of plumbing including supply and installation of hot water services, plumbing maintenance and repairs, drain laying and excavation and installation of rainwater tanks. We have a staff of 10 to look after all your plumbing needs and we service the South Coast, Kangaroo Island, Port Elliot, Middleton, Goolwa, Yankalilla, Normanville, Myponga and more. 30 years experience in the plumbing industry and being established on the Fleurieu Peninsula for the last 20 years. We have a staff of 10 to look after all your plumbing needs. Extensive experience in all facets of the domestic industry, encompassing new housing projects, renovation, supply and installation of hot water services, plumbing maintenance and repairs as required, drain laying and excavation and installation of rainwater tanks, plumbed to the house. An experienced team for varied commercial works including multi-storey apartments, shopping complex works, both new and additions, nursing home projects, fire services, concrete core cutting, excavation and other site works. An effective environmentally friendly wastewater treatment process that is safe, clean with usable recycled wastewater all the time. It has a superior treatment process working for you to safeguard your family's health. 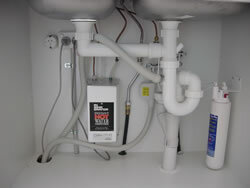 C.R Adams Plumbing Pty Ltd is an approved agent and supplier of the Aqua-nova system. For more details on the benefits of an Aqua-nova wastewater treatment system visit our waste treatment page. 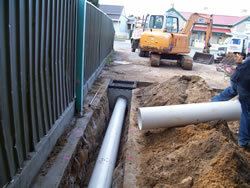 Supply and installation of septic systems, including council plan lodgement. 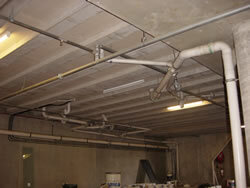 For all your plumbing needs, contact C.R. Adams Plumbing via the details on our contact us page.